This weekend, people are not just going to rest who is where, and will be engaged in mass sports. In this annual color run will take part and Disney Princess! It would be cool! 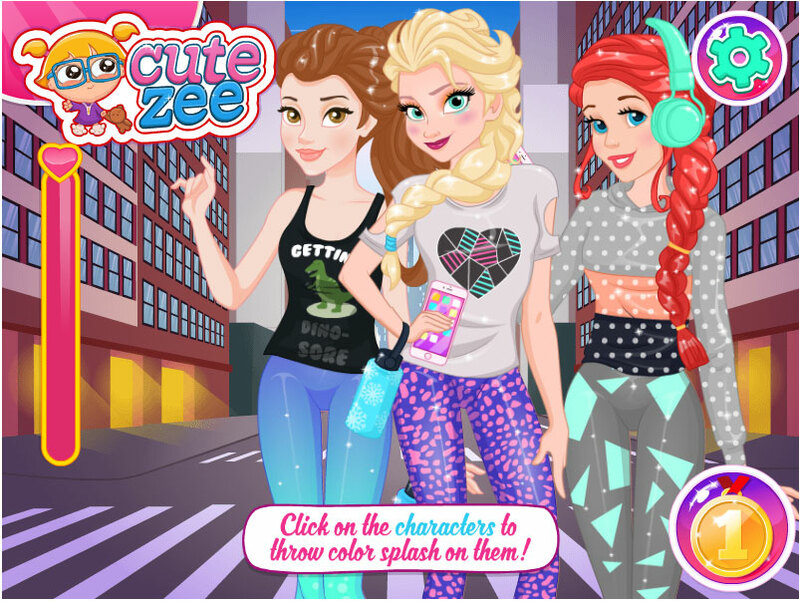 Ariel, Belle, and Anna all year doing sports and so run to them in joy. Let's join with us join this fun and beautiful event. 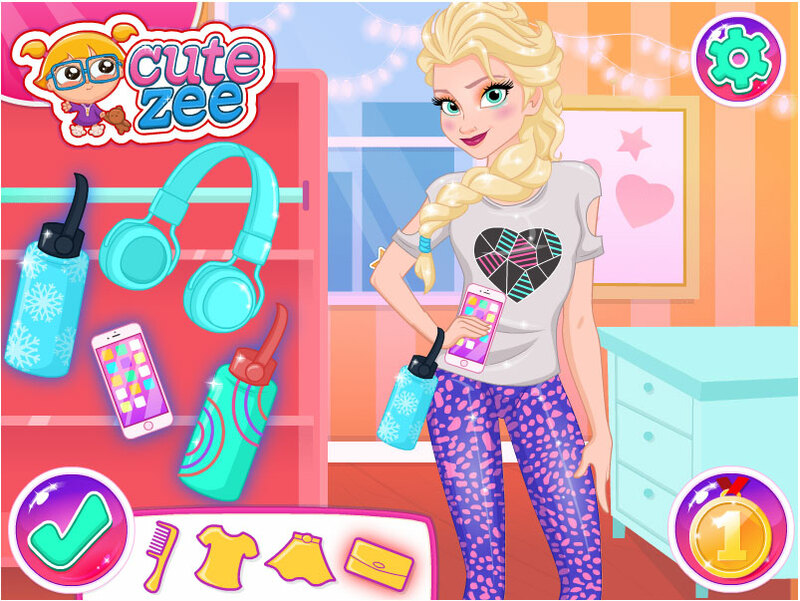 To start, you will need to help choose the outfits for the girls and then choose the accessories with which their attire will become even better. We will be able to choose a nice sports shirt, bright t-shirts with funny inscriptions. But let this Princess take headphones with me, a bottle of water and smartphone. Girl, did you play gene manipulation game? In this colorful game you will control the genes and bacteria. Played: 36018. Added: 12-07-2017, 07:58. Princesses The Color Run game. 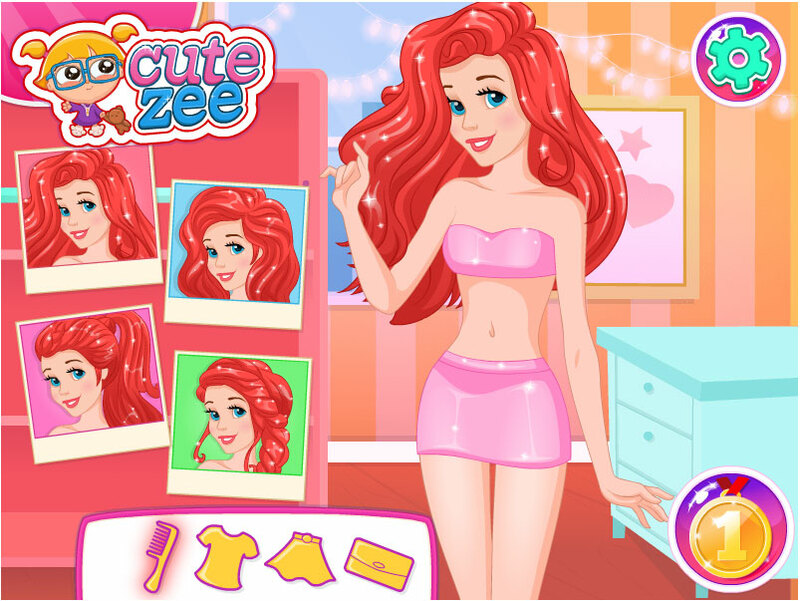 Choose hairstyle for Ariel princess. Dress up Belle for Color Run.